Cantilever base features a powder coat finish for long wear. Greet your guests with the luxury of top-grain leather upholstery. Tailored seat and back. Waterfall seat design reduces pressure at the back of your knees for improved circulation. 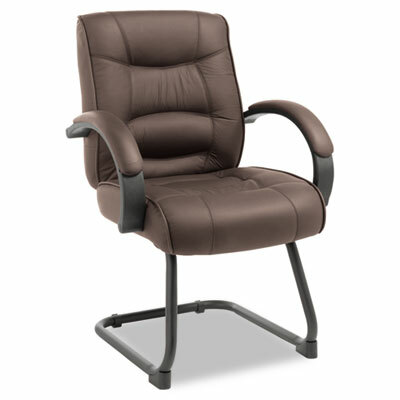 Roll armrests with padded leather caps for added comfort. Cantilever steel base features a powder coat finish for long wear.